In general, systems coped and helped others out which were flooded or lost power; NS-LIJ took in patients from evacuated NY Health and Hospitals Corporation (NYHHC) facilities as well as NYU-Langone Medical Center. In opening remarks, NS-LIJ CEO Michael Dowling pointed out the large gap that had to be worked around–a torrent of new admissions, and being unable to access non-network EHRs. He also pointed out that what healthcare needs is the right data to make the right decisions, and that health care systems were liable to data overload–too much, not right and thus not actionable. Closing remarks by HHC’s CEO Alan Aviles returned to Sandy and were a blow-by-blow account of hospital disaster response, followed by what was being done (step by step) to restore services and lessons for the future. Dan Cerutti of IBM’s Watson commercialization area presented the development of Watson’s deep Q/A in processing structured and unstructured data, and their tackling oncology first in partnership with WellPoint, and refining the decision making model through research with the Cleveland Clinic. [More in TA 27 Sept and 1 Nov] WellPoint’s CTO Rickey Tang extended the discussion into the wild and wooly world of utilization management, so dear to payers and so badly in need of streamlining in precertification, collection of missing information, cost transparency and post-service review. Both Watson and WellPoint are intent on redoing the UM process; eHealth developers should especially keep an eye on how this restructuring develops. A rather surprising factoid tossed out by Mr. Tang was that 81% of doctors spend less than 5 hours/month reading journals, which gave your Editor pause, especially with state and specialty continuing education requirements; does this account for how physicians are transitioning to consuming information via PCs and mobiles? The Payers and Providers: Making Health Tech Work panel again returned to how to utilize data in moving to evidence-based care, and then moved forward into issues such as connectivity and patient engagement–extending care to the life of the patient outside the walls of the hospital and the doctor’s office. Managing massive amounts of data into workflow was also a major concern of the panel. Charles Saunders, M.D. of Aetna Emerging Businesses noted the fine line between Big Data and Big Brother. Aetna is developing a payer-neutral infrastructure with providers through Accountable Care Solutions to narrow population gaps in care and integrating its patient engagement application, iTriage [TA 24 Dec 2011], to fill what he termed the ‘white space’ between visits. In later remarks, he added case management and call centers to that mix; in total, more overlap, not less, between provider and payer. For providers, their approach is also affected by the composition of their patient population. Pamela Brier, CEO of Brooklyn’s Maimonides Medical Center, pointed out the special challenges of being both the largest Medicaid provider in the borough–now moving to a managed care vs. fee-for-service model–and having a major commitment to the seriously mentally ill, which are for now both roadblocks for Maimonides moving into an accountable care (ACO) model. Their focus is on the electronic transfer and integration of patient information between providers through the local RHIO (regional health information organization). Dr. Neil Calman of the Institute of Family Health and the Mount Sinai School of Medicine, from the primary care provider view, proposed that useful data is real time, alerting to patient status and responding to patients at the ER (ED), and will inevitably result in workflow changes. Marco Diaz, representing employers as VP Benefits for Thomson Reuters, thought the balance would come at the consumer level, in matching and integrating individual data, engagement and actions into records. In follow up questions from the floor, panelists were asked about their experiences with remote patient monitoring (telehealth) integration and the effect on same-cause readmissions. Ms. Brier’s experience has been about a 15% reduction, with a key factor the integration of care managers; Dr. Saunders claimed that the rate could be as high as 40% if transitions of care are managed effectively. A sobering note at the end concerned data tracking and a potential increase in liability, not only from the data capture but also from data breaches. However, Dr. Calman positioned this as more importantly, and inevitably, a manageable risk in an improved standard of care, with RHIOs and an ‘electronic trail’ being part of the security solution. After a break, the shorter Innovations and the Market panel discussed what can be successful–and not–in health tech. David Blumenthal, M.D. of Partners Healthcare, which is heavily involved in innovative telehealth such as text reminders and startups such as Healthrageous [TA 17 Oct], told a cautionary tale about his encounter with a ‘Silicon Valley hotshot’ who thought his app was ‘the end’–it was, though not in the sense he intended. What is obvious to the developer is not necessarily that to the consumer. Patients don’t listen! Medivo, an early-stage monitoring/lab result tracking company founded by seasoned veteran Sundeep Bhan, has evolved its revenue model several times as it has grown. To Maria Gotsch, CEO of the NYC Investment Fund, the real revolution is coming with data analysis and the tools to make it actionable. Similar tools have been pioneered in the financial sector, and NY is rich in skilled people. However, the talent hasn’t yet migrated from financial to health tech–the VC mentality is still stuck in financial and shopping websites–but the outlook is improving. The panel agreed that for healthcare innovations, ROI in the traditional sense remains problematic, but is rapidly becoming part of a new standard of care delivery. Tweetstream at #crainshealth. Many thanks to Crain’s event producer Courtney Williams for facilitating Editor Donna’s attendance. Update 19 Nov: North Shore-LIJ–a healthcare behemoth in the making? Crain’s seems to think so here. with Philippe Chambon of New Leaf Venture Partners. Other panelists included fellow entrepreneur Brett Shamosh of Wellapps (purchased by Medivo), Milena Adamian, MD of Life Science Angel Network, Esther Dyson of EDVenture, Donna Usiskin of a private investment team, and Alan Brody of the iBreakfast start-up forum. The winner was not related to telehealth at all–BriteSeed’s SafeSnips technology is a near-infrared sensor which can detect blood vessels’ location, diameter size and blood flow, preventing catastrophic cutting into same during minimally invasive or robotic surgeries. This risk is estimated at 2.9% of these surgeries and SafeSnips would help surgeons avoid this at an average cost of $200/surgery. The technology was originally developed out of Northwestern University and they have an outstanding advisory board. And they already have a strong marketing tag: ‘SafeSnips puts the sense into surgical tools’. Congratulations to founder Paul Fehrenbacher on an excellent presentation which smartly included some rather graphic (to non-clinicals) surgical video to drive home the ‘catastrophic’ point. (Pictures do tell the ‘pain point’.) Editor Donna’s neighbor’s consensus was this was a high risk venture (with FDA approval and patent still pending)–but also high potential reward. The other presenters were Health2Social (patient empowerment using social media), Health Options Worldwide (automating care and treatment options for companies’ high cost patients) and Talk About Health (a platform for cancer questions, answers and support). All great ideas and developing in the heart of NYC, which is slowly but surely becoming friendler (albeit expensive) territory for healthcare-related startups. Video will shortly be available on this link. 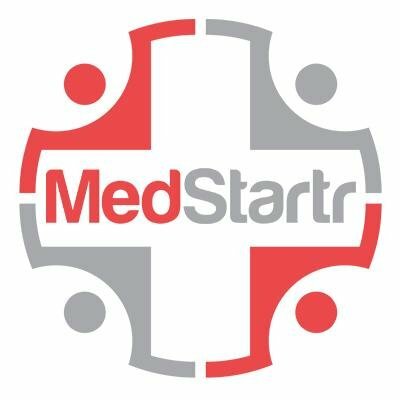 Many thanks to the organizers, especially Alex Fair of FairCareMD and the first healthcare crowdfunder MedStartr. (TA 12 July; more on this to follow) and Steve Greene of Sperlingreene. Rip Road and text connectivity’s appeal. This is the firm responsible for Mount Sinai’s ‘Text in the City’ adolescent health and Partners HealthCare prenatal text programs. Texting not only has great relevance to a younger group, but has appeal that cuts across all ages, demographics and phone types, is HIPAA compliant and not a budget buster. President and founder Eric Leven’s strong presentation begged the question–why aren’t more providers doing this right now? Or are we in the field so in love with smartphones that texting ain’t cool enough to use right now? ClickCare and doctor/clinician/patient connectivity. This is a platform (mobile and desktop) started in 1995 by two doctors which essentially is a virtual doctors’ lounge where physicians can easily collaborate on patient results and share images. It also permits other clinicians and (in a limited fashion) patients and families to see information. Business model is a $99/month per license subscription. Business Development VP Angela Speziale presented. 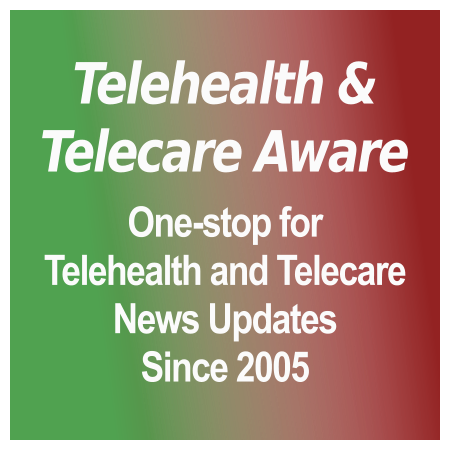 Perhaps most important in potential to telehealth providers is the overlooked concept of ‘transitional care’. Amaji’s Ben Spivey described the critical inflection point where the patient is being discharged from the hospital on ‘the bubble’ as requiring more than traditional home care–the need is in-home primary care. This comprises in-home visits (usually by mid-level providers) who manage rather than simply monitor patients; coordinated home visits and ancillary services such as routine outpatient visits, home nursing and home telemonitoring services, enabled by Amaji’s fully interoperable EMR. Here is a role for technology combined with care management and provider support. And some eHealth providers are now getting it. Honeywell HomMed, which many of us know as strictly a hardware provider–its latest being Genesis Touch–has combined services like Amaji, Ascend HIT and Verizon Wireless into LifeStream Partners. Other presenters were Spain’s Kanteron Systems (open source digital imaging, including 3D imaging superimposed on the body prior to surgery); Fluent Medical (gaps in clinic workflow, CancerLife (patient support online network) and Fresh Digital (in hospital patient education). Finally, Health 2.0 NYC head organizer Alex Fair is moving forward a ‘kickstarter’ for early-stage funding in eHealth…more on this when it happens!